Today we will do it the Korean way! 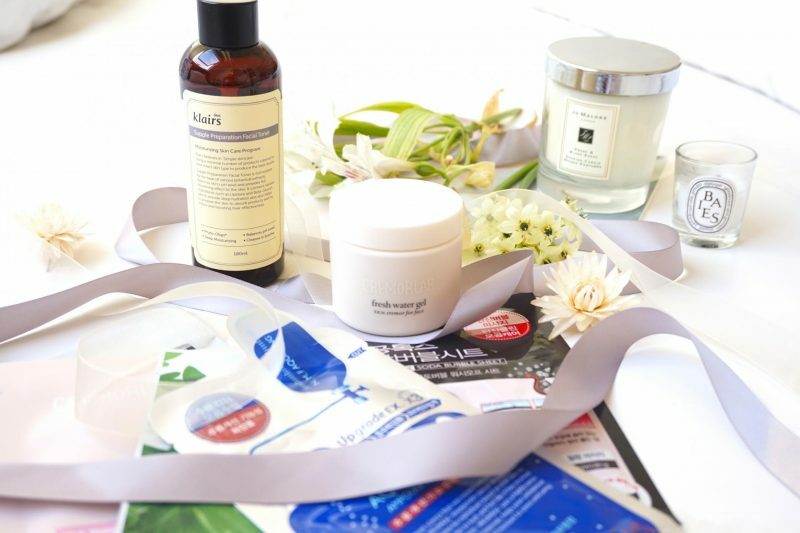 I will talk about several Korean skincare products that are perfect for oily skin people like me, kindly gifted to me by Hyesun from Ippo Cosmetics. 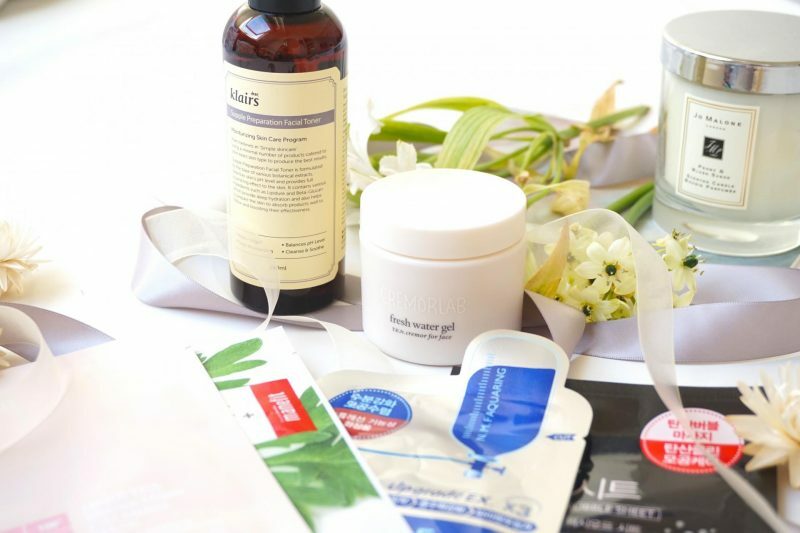 It is no secret that the Korean Beauty branch is one of the most advanced and offers all kinds of product that are affordable and really work. Hyesun created her webshop Ippo Cosmetics because she wanted to share her beauty products that helped her getting a beautiful skin. That’s why the webshop offers only the best Korean brands which contain natural ingredients, are safe to use and effective on the skin. Let’s check it out! 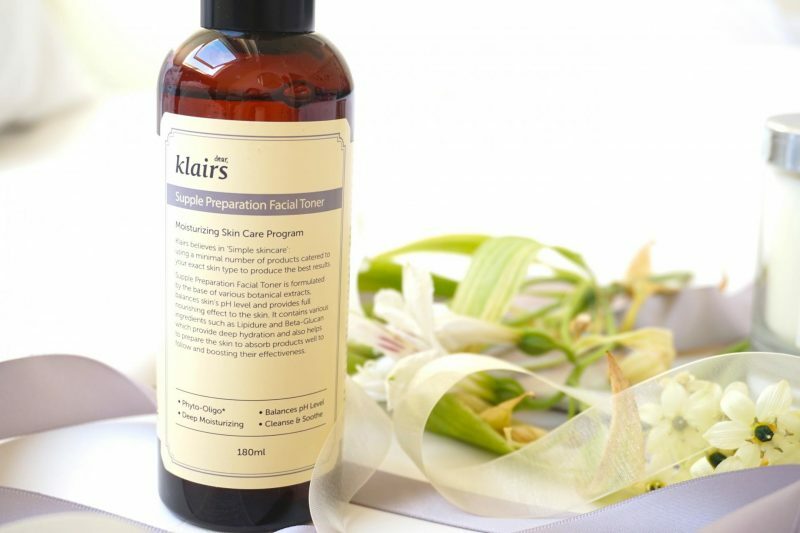 Klairs, Supple Preparation Facial Toner – You may think ‘huh this may be to oily for you‘ and you are right. But this is such a cult item in Korea, everyone heard of it or has it! So I can’t stay behind, I had to try it out even when my skin doesn’t need it. the main reason why I wanted it was because it balances the pH level of your skin. I can’t really say that any of my toners do this, most of them are for cleaning the last dirt of your skin. The way I use it is to apply it on a cotton pad and wipe it along my face. I had some trouble with getting the product out of the bottle because the consistency is a more gel like water feeling. I had to shake the bottle on the cotton pad to get something out of it. It is all worth it! My skin loves this, especially during the night. My skin instantly feels soft, smooth, clean and it creates a fresh feeling. The weird thing is that beside the toner I always use a cream but I don’t get the idea that this deep moisturizing toner makes my skin more oily than normally. Goals! For people with dry or combination skin I can recommend you using this directly on the skin. Pour a small amount in the palm of your hands and slap it in your face! I promise you, your skin will thank you for using this toner. 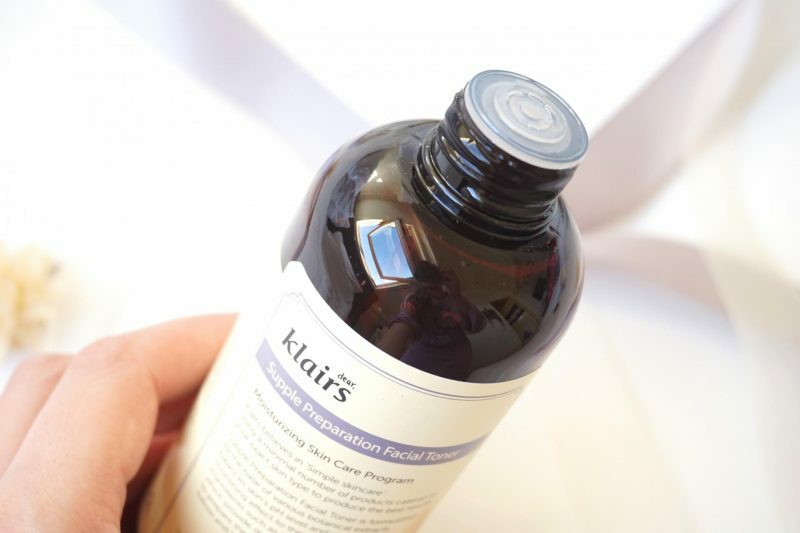 I have seen this toner on several IG accounts and blogs and I never read a negative experience about the Klairs Supple Preparation Facial Toner. 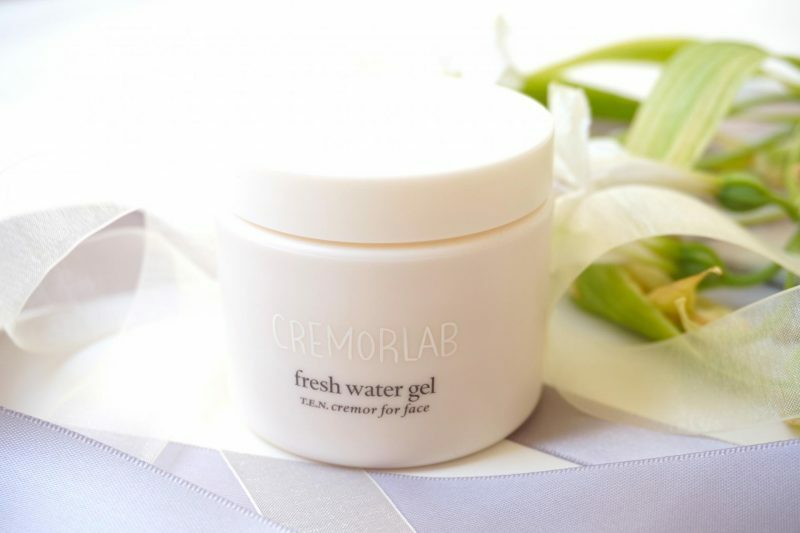 Cremorlab, Fresh Water Gel T.E.N. Cremor for Face – A gel like cream that doesn’t clog your pores. Something my skin is looking for! The main ingredients are fine mineral particles from T.E.N water and seaweed extracts rich in vitamin A,C, B1 and B2. This product is paraben free, artificial fragrance free, artificial color free and mineral oil free. That says enough I think? It is an amazing cream for every skin type and not only for people like me with oily skin. I love how fast the gel cream is getting absorbed into the skin, you can immediately start with your makeup routine. My skin feels soft, smooth and it doesn’t leaves a sticky layer behind. This would be a perfect cream for my oily skin during the summer when I can’t use a lot of layers or rich products otherwise my skin will get oily instantly. Can we talk about the pretty lid? 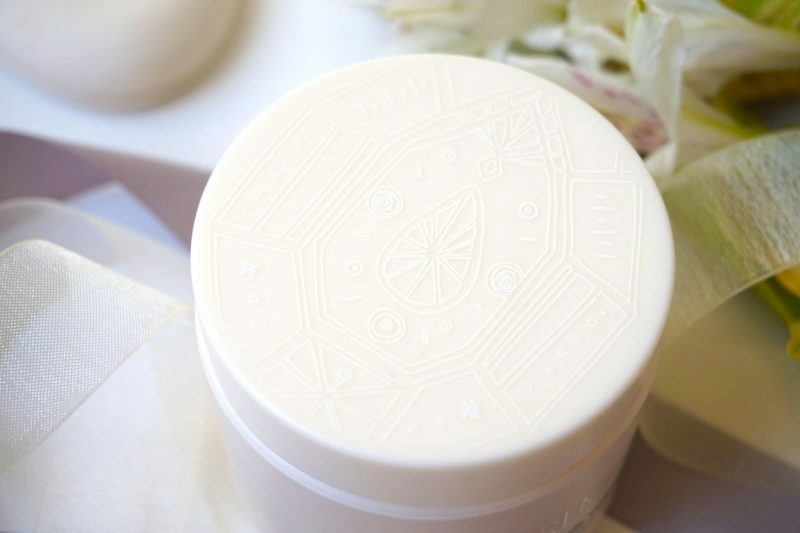 I didn’t notice it until Hyesun talked about the pretty packaging. Now I understand the hype behind Cremorlab. It is not only their products that works great for everyone but they also got great eye for details! 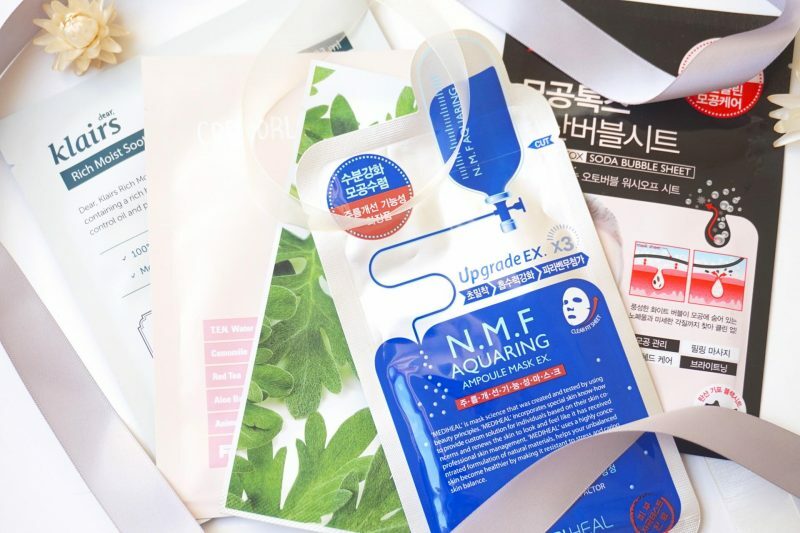 Mediheal, Mogongtox Soda Bubble Sheet – Hyesun packed a few sheetmasks which she thought would work great on my oily skin. The Soda Bubble Sheet masks works on the lower part of your face. The moment you apply the mask on your skin it starts to bubble! I didn’t expect it would come that fast, I heard the bubbles popping the whole time. It was so fun to use this mask because I could feel the bubbles working on my skin. It had a bit of a tingly sensation but not something that would disturb me. After wearing the mask for about 15 minutes I instantly felt the difference: my skin felt smooth and clean and the pores on my nose were less visible. I was so surprised because my nose is a part of my face I don’t like to touch because it can become sensitive and red. Now this the Soda Bubble Sheet mask the pores were 2x smaller! Mediheal, N.M.F. 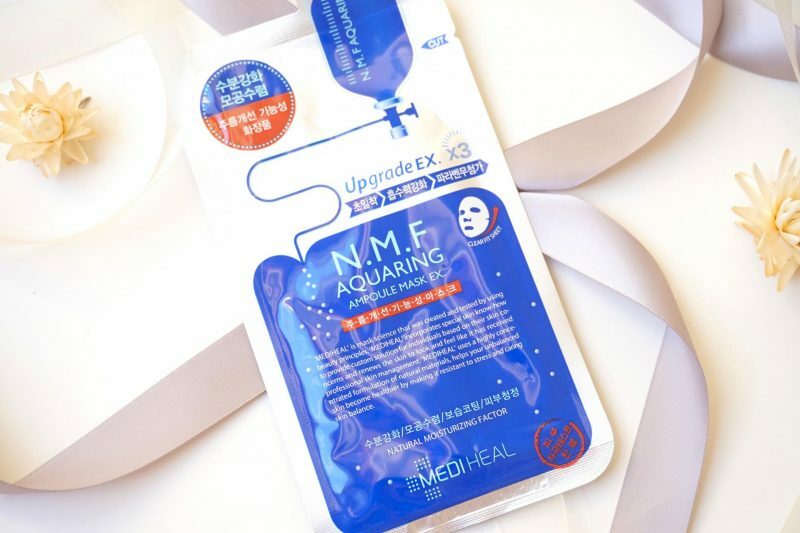 Aquaring Ampoule Mask – So my little sister got super excited when she saw I received this mask! She told me that this particular type was super popular in Korea and that it works for everyone. Oh well, she made me curious. N.M.F. stands for the three ingredients that also can be found in a healthy skin. I can’t deny that this sheet mask looks awesome and it makes me feel like it will work (its kinda gives it an official look?). So the first thing I noticed it that the material of this sheetmask is super thin, it has the same feeling as the expensive Starskin masks. It feels super comfortable on the skin and it doesn’t makes me feel claustrophobic. Surprisingly the mask has the perfect shape for my big head! The holes are just on the right spot, how great. After 20 minutes my skin looked super healthy! It was even, glowy, smooth and hydrated. I was a bit scared that my skin would become more oily during the day but NO. It looked like my skin was balanced and in top condition. Can I have a lifetime supply of this? Manefit, Astringent + Pore Care Mask – The Manefit mask is made out of a microfiber sheet which makes it more comfortable to wear. 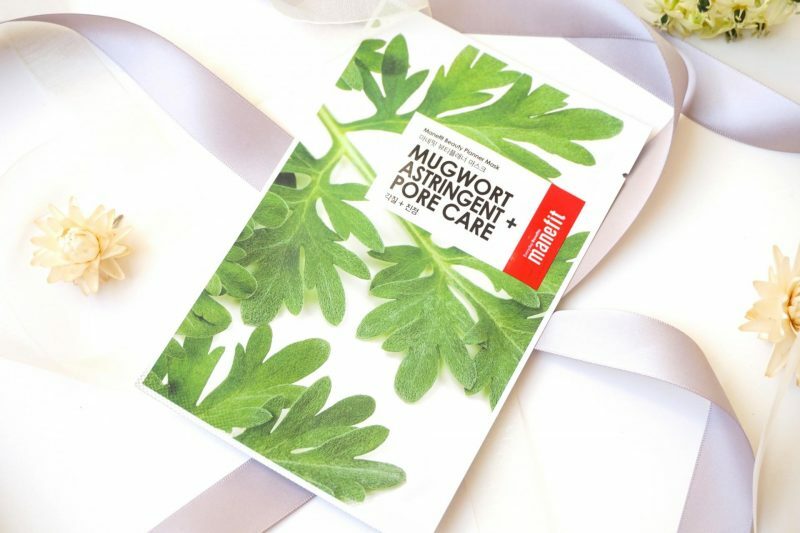 The mugwort extract in this mask will take care of the excess oil and tightens the pores. To be honest, I don’t remember much about this sheetmask when using it. You might think: wth are you thinking? You are testing a product without remember what your experience was? Well, all I know at the moment is that this sheetmask felt amazing! The size of the sheetmask was perfect and the essence did a great job for my face. Compared to the Mediheal N.M.F. this one works better for my oily skin because I could really feel that my skin was more toned and balanced after using it. I did say that the Mediheal N.M.F. Aquaring Ampoule Mask was amazing and that I want to have a lifetime supply, but I think I have to take back my words. They are both amazing for my oily skin but I think I would prefer the Manefit during the summer and the Mediheal in the winter. 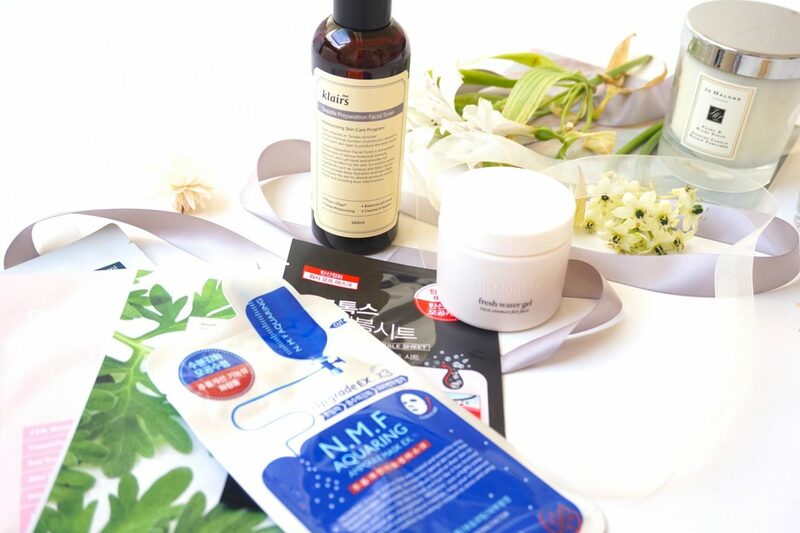 Cremorlab, Herb Tea Blemish Minus Calming Mask – The award for the best smelling mask goes to Cremorlab! This one smells amazing, I think it was Herb Tea guessing by the name of the mask. The material of the mask is 100% cotton which is a thicker material than the other masks I just talked about. The ingredients are perfect for troubled skin and gives it a high boost of moisture because of the T.E.N. water, chamomille and black tea extracts. I honestly became emotional by the amazing and lovely scent of this sheet mask. I never tried a mask that smelled THIS good, in any kind of form. I’ve slept the whole night with this sheet mask, praying that the fragrance would be penetrated into the skin so I won’t need any perfume. Ofcours it is not only about the fragrance but also the performance of the mask. My skin feels super smooth afterwards and it stays hydrated all day long. Honestly, if I had a bathtub I would use this mask because it gives me a SPA feeling because of the delicious fragrance. I think I need to stock all of these sheetmasks I received from Ippo Cosmetics. 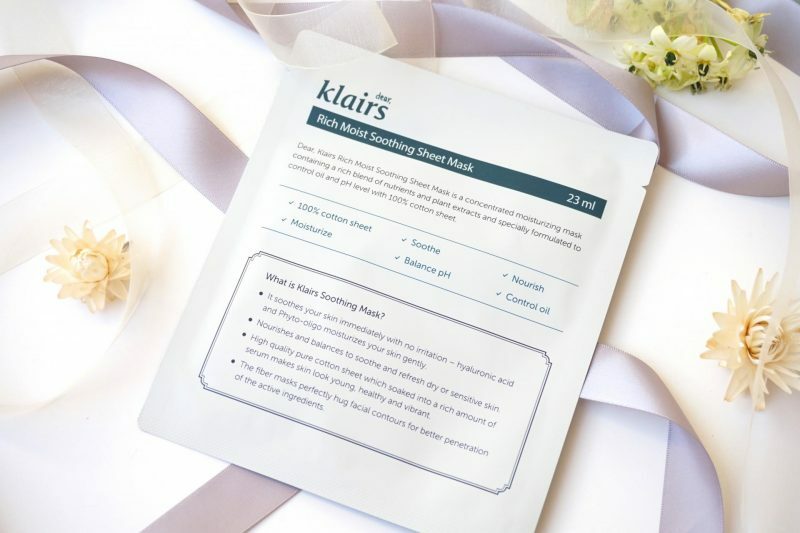 Klairs, Rich Moist Soothing Sheet Mask – It is hard to say that this is my least favorite sheetmask. The material is the thickest of all the masks I received which makes it only a little bit less comfortable than the others. People with dry or sensitive skin would love this sheetmask because it is infused with a lot of essence. A male friend of mine really loves this sheetmask. He use it every sunday to pamper his face after a week of school and hard work. He told me he really noticed a big difference in de condition of his skin but he was also not a fan of the thick cotton mask. I already owned the Klairs mask before I received this one. Personally I think it works great when you have troubled skin like dry patches or irritated red spots. It calms the skin and it makes it look smooth and moist. It does have a lot of essence, so be careful when you are wearing a nice top! 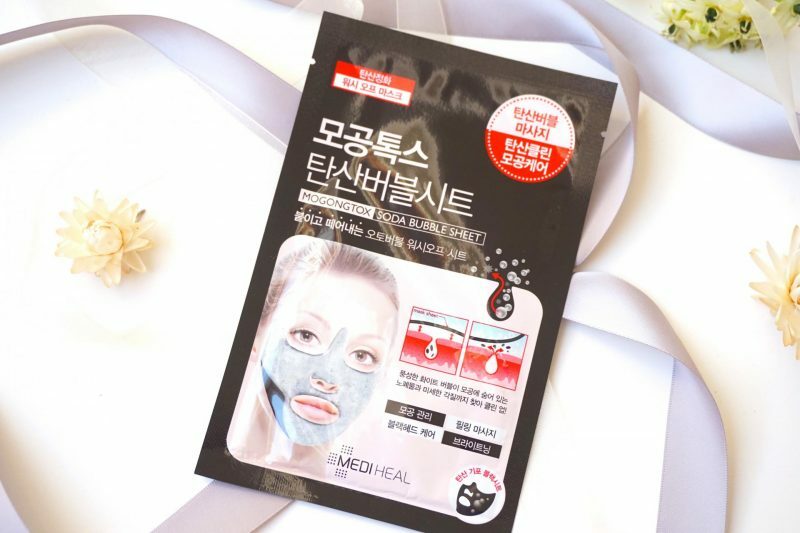 The essence will literally drop of your face when wearing this sheet mask. Everyone should try this mask out! Not only because of the amazing results but the material of Manefit sheetmasks are amazingly thin. Best for skin with visible pores and oil. Great mask to get that perfect healthy looking skin. Perfect when using before a big event! This is suitable for all skin types, especially when you need that extra hydration boost. For my oily skin, creams like this are a blessing. It doesn’t makes my skin more oily and it absorbs immediately into the skin. It will work for every skintype but for me this would be perfect during the hot summer days. A great toner that gives a lot of visible results. 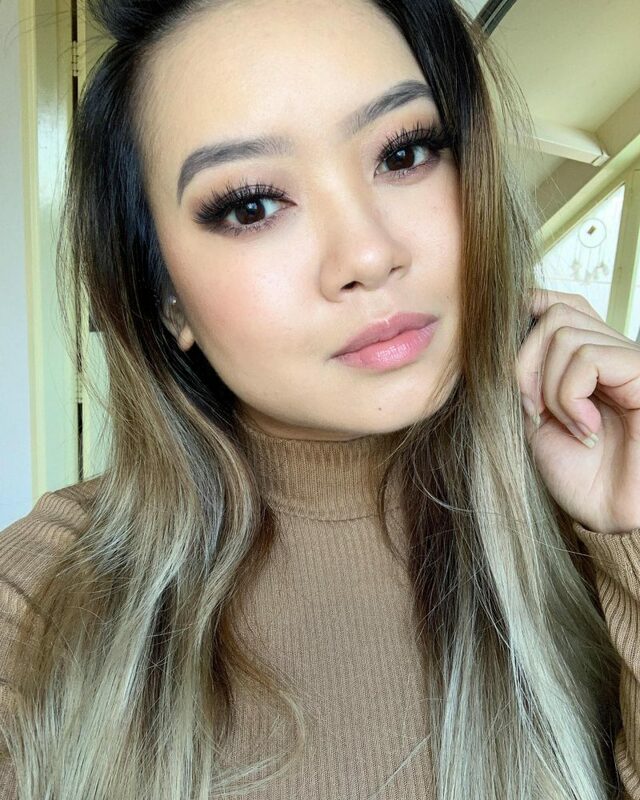 My skin looks clean and even and almost more plumpy! The skin feels amazingly soft and perfectly prepped for applying skincare or makeup. This will work for literally every skin type. When you need some TLC, this is your mask! It smells amazing and the results are tremendous. I can literally bath in this essence, that’s how delicious the fragrance is. Need some fun in your life or are you bored? Use this mask to cheer you up. It i fun to use and you can stare at yourself in the mirror for 15 minutes. The bubbles start to pop right away after applying the mask on your skin. The results are an even looking skin with less visible pores! Suitable for every skintype. Is your skin dry and sensitive? Do you want a sheetmask that does it’s job? Than the Klairs is perfect for you! Results are visible after the first time. 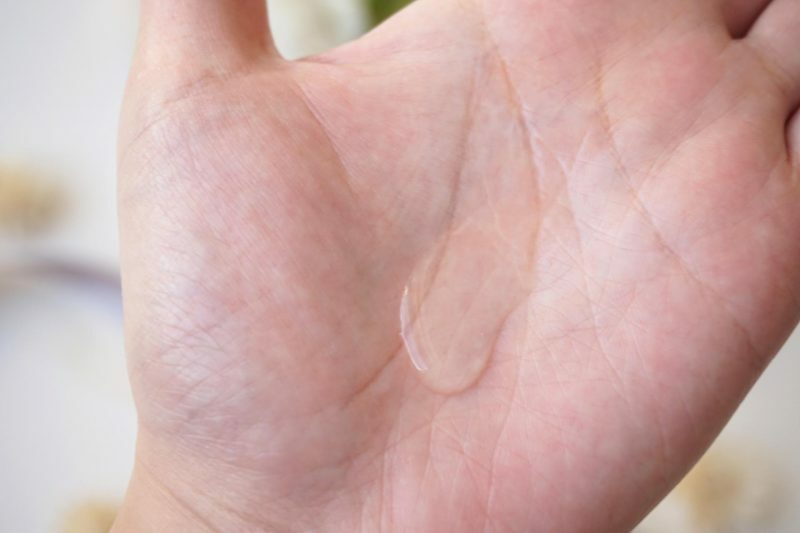 You well end up wilt moisture and healthy looking skin. Only downside is that the material is quiet thick. For every skintype! These items are kindly gifted to me by Ippo Cosmetics. Get your items now, they ship within the EU! Great roundup of products An! Gotta give another thumbs up to the Klairs toner as well, I love that it’s hydrating without being heavy! I also love the Klairs mask, but I agree, the sheet mask itself is so thick it makes the fit quite poor. 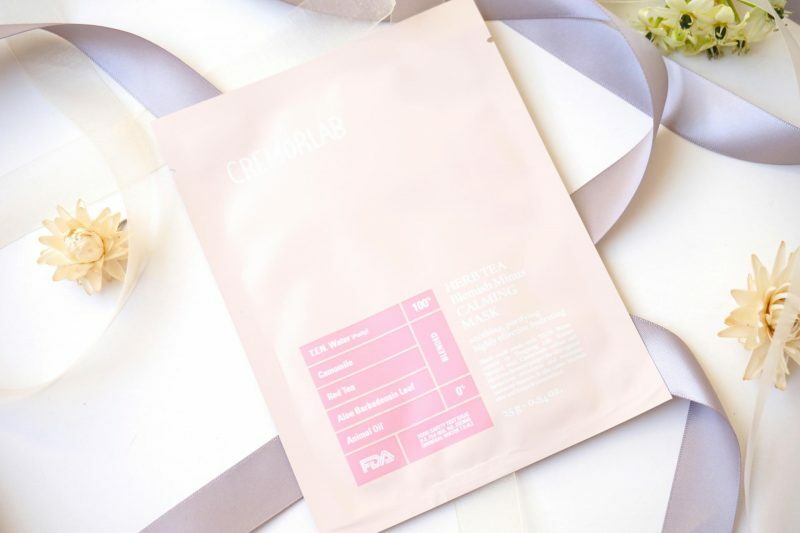 Cremorlab was one of the first KBeauty brands I’ve tried and I’ve always wanted to go back to it. Love the sound of that water gel! The reason why i got the Klairs toner if because you Always raved about that one hehe! You are right; it is a great item and it feels amazing on my skin, so hydrating! Girl this post is dangerous! I’ve been wanting to try more sheet masks, and the Klairs toner and the Cremorlab water gel sound amazing. I love toners and water gel moisturizers so much! Thanks for reading dear! Ohhh you should invest into sheetmasks, they are the bomb and they give your skin instant results! Wauw het ziet er goed uit! Ja toch! Koreaanse huidverzorging ziet er altijd aantrekkelijk uit maaar werkt ook goed!